Aaron Northcott is a UK-based wildlife, landscape and commercial photographer. Aaron’s passion for photography motivated him to become a successful public speaker and educator on photography skills and post-processing techniques. He is currently working on a project to photograph every species of mammal native to the British Isles. Aaron talks to atlas this week about his two greatest passions, wildlife and photography. Aaron Northcott: I’m a self-taught photographer and everything I’ve learned has largely been through trial and error. I have always approached photography in this way and it has worked so far. It is important to have your own unique style as a photographer — a style that differentiates yourself from others and make your images stand out. I think the process of finding my own style has been a much easier one because I am self-taught. I have the freedom to explore and experiment which may not be necessarily acceptable in a formal photography class. My approach is to go in with an open mind and be prepared for anything. Photographers have to be versatile and unless you’re working in a studio, no two situations are going to be the same. This is particularly true if you are working outdoors or with wildlife. The dynamics can change not only between shoots but during the shoots. Animals can be unpredictable like the weather, lighting, etc. so you have to be able to adapt and think on your feet. Photography was not at the top of my list at first. However, working with wildlife always appealed to me. When I was young, I went through all the normal phases one would go through for anyone interested in animals. I wanted to be a veterinarian, a gamekeeper, a trainer, etc. Then when I grew older, I realized the biggest reason why I was fascinated with the natural world is the stunning imagery and footage which constantly impresses and inspires me. Once I realized this, I knew I wanted to be a photographer and inspire others. Are there any photographers who have influenced you? If so, who? It is odd but I never really focused on particular photographers when I started out. I have always been an avid reader of National Geographic and BBC Wildlife Magazine. The images I see in every new issue have always been an amazing source of inspiration and new ideas for me. If I see a style or technique I really like, I will experiment with it and find a way to incorporate it into my own work. What do you enjoy photographing the most and why? I enjoy photographing animals in their natural habitat. Photography and wildlife are my two greatest passions. I am currently doing a lot of UK-based work. When I am not working on commissioned projects, I am working on my personal projects. In 2016 I hope to release a brand new portfolio which will include amazing images of every species of mammal native to the British Isles. Can you give us some background on these spectacular wildlife images you took? 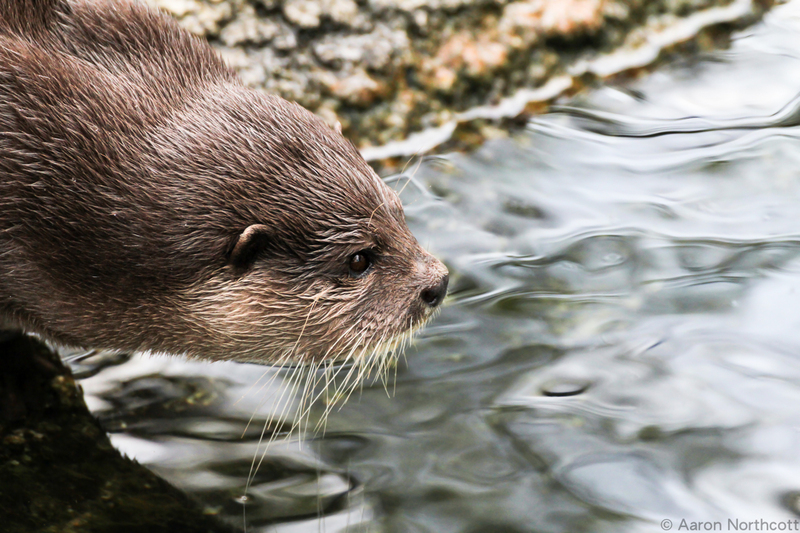 The Sea Otter – Otters seems to be either frantically moving around or disappearing beneath the water. I quick captured my chance to photograph this one as it stood on the bank for just a few seconds on the bank before slipping under water. The Mandarin Duck – This is one of my popular images. 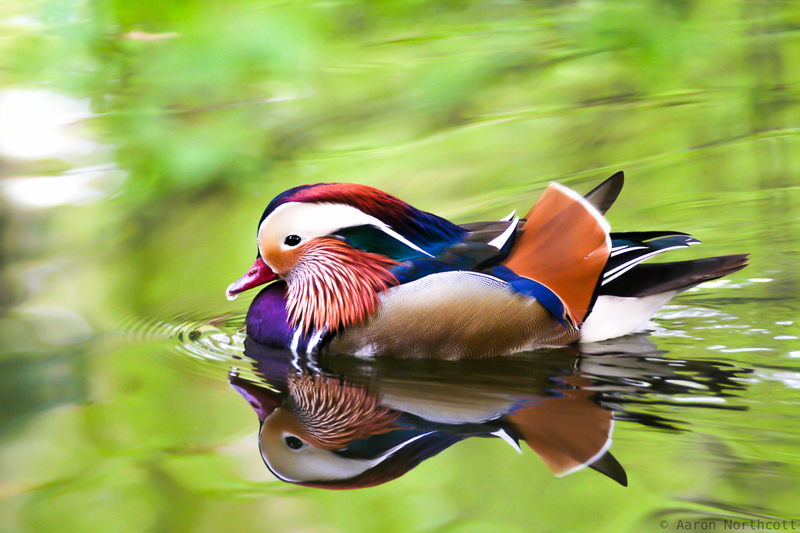 I think it is the contrast of colors throughout the photograph — from the rich oranges, blues and purples of the duck’ s feathers to the vibrant greens and yellow in the reflection on the water. I captured this shot early in the morning when I was Berlin. 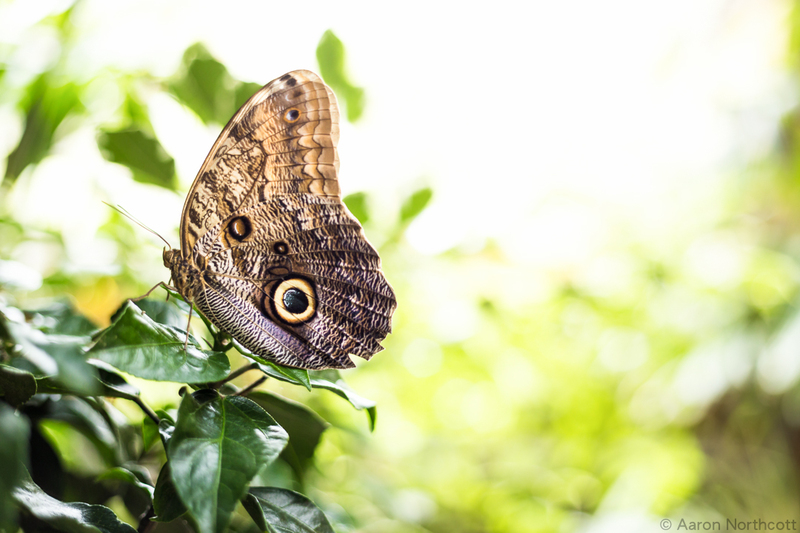 The Owl Butterfly – This is a common species which may be found across Central and South America. What I really like about this image is the sunlight illuminating the insect from behind. To a photographer, this is a big no-no — shooting into the light — but it worked well this time. 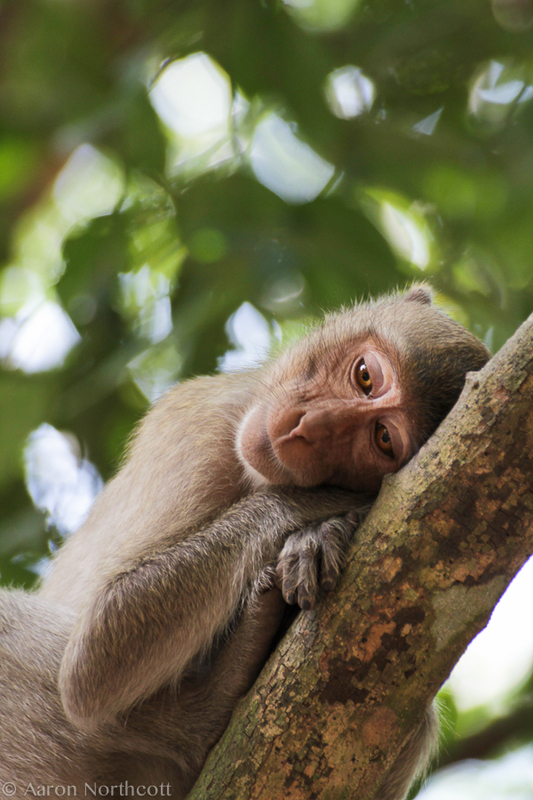 The Macaque – I was travelling through the jungle in Cambodia and stopped to have a snack at midday. Within just a few minutes of sitting down, a band of about a dozen macaques came marching through. Many seemed like young macaques. I caught this female macaque taking a brief moment to rest, while keeping an eye on the youngsters playing on the ground below. I have always used Canon cameras and equipment. My first camera happen to be a Canon and that is what I have stuck with all along. There is not a huge amount of difference in terms of quality among the bigger brands, so it comes down to what you are comfortable with. If you had one piece of advice for a novice beginner, what would it be? Take your camera everywhere. If you get into the habit of taking your camera everywhere, you will be inclined to take more photographs, experiment with different styles, lighting and conditions, and become more comfortable with your camera and its functionality — all of which will make you a better photographer. For more information about Aaron, visit his website. All images © Aaron Northcott.